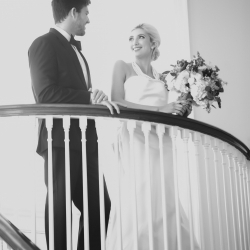 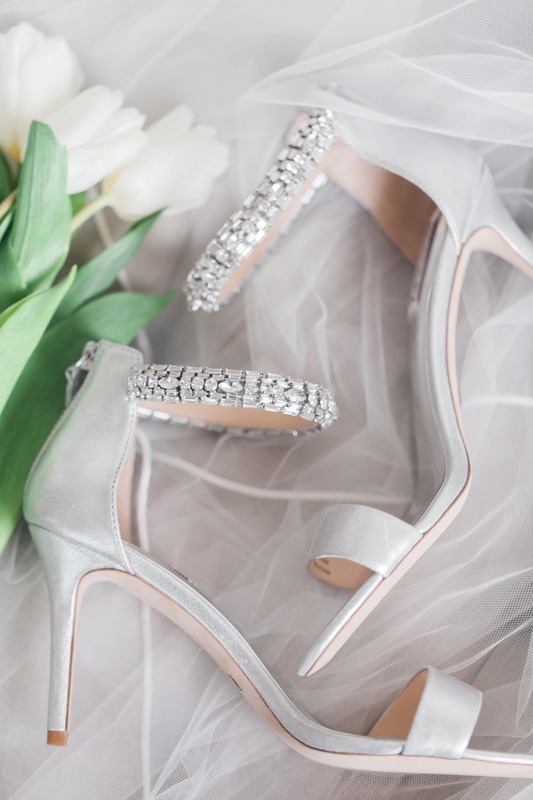 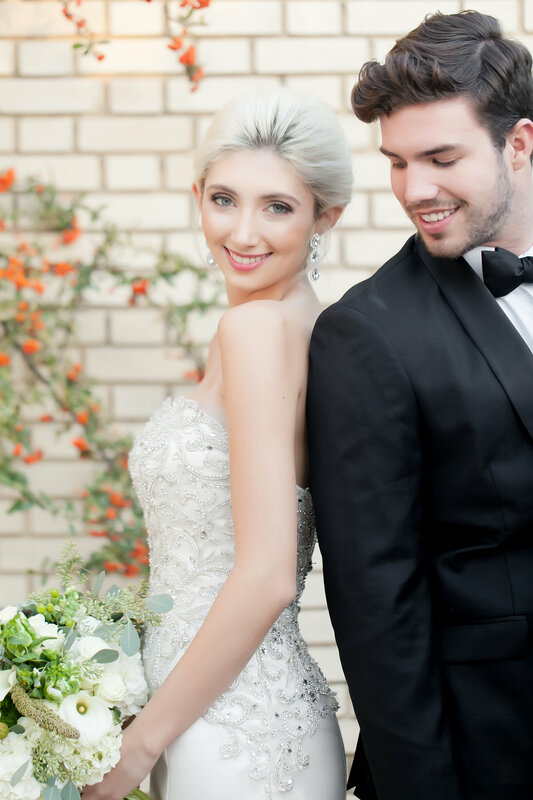 The Separk Mansion served as the amazing background for this stunning white and silver wedding inspiration shoot, that is nothing less than perfection. 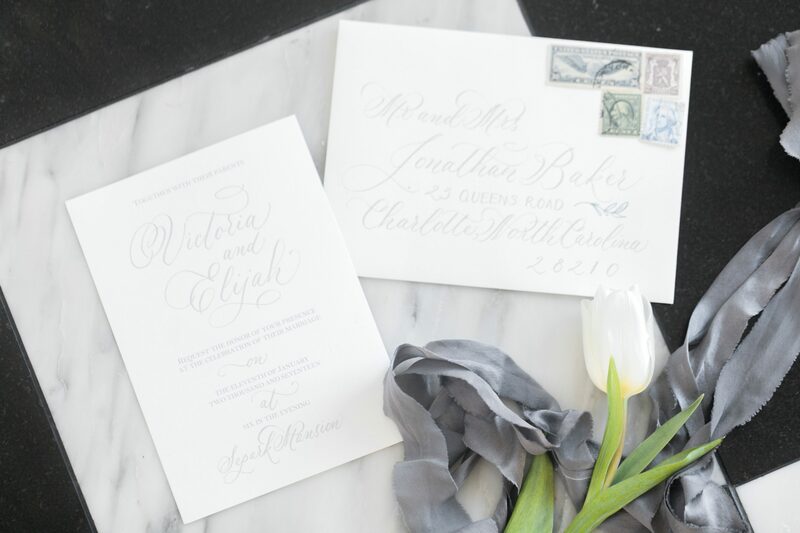 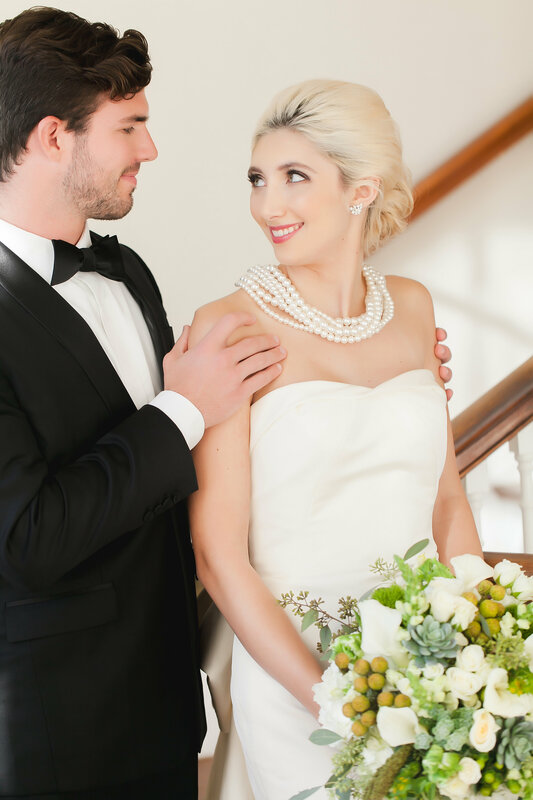 Amanda teamed up with some top-notch Charlotte vendors to create a classic wedding with modern sophisticated elements and we just can’t wait to share them with you! 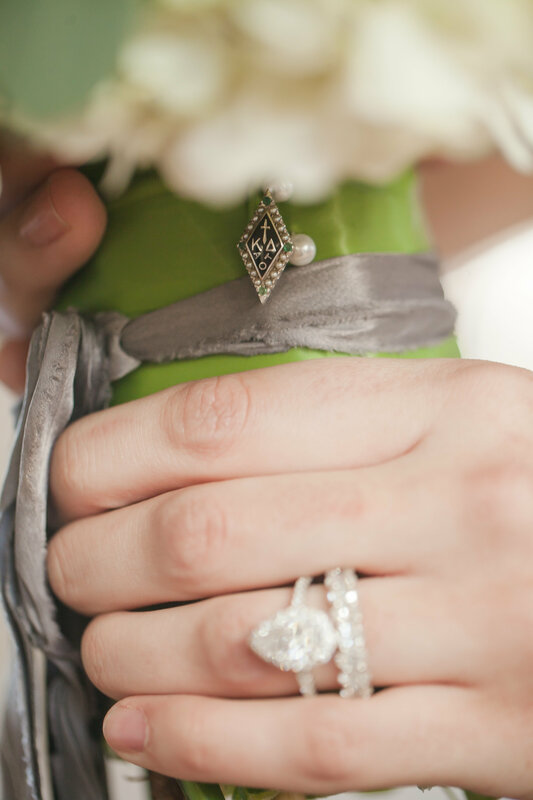 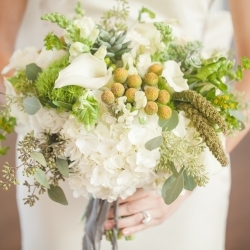 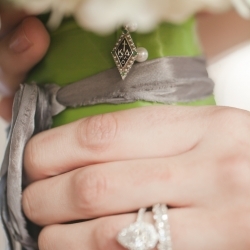 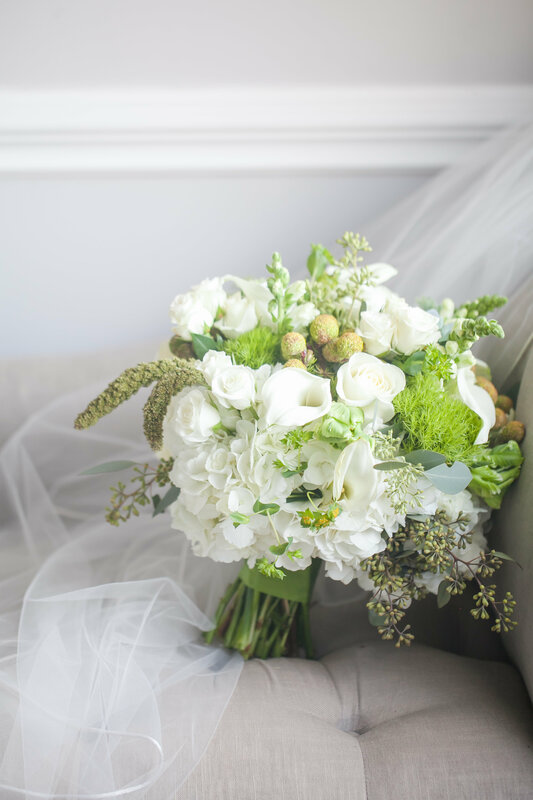 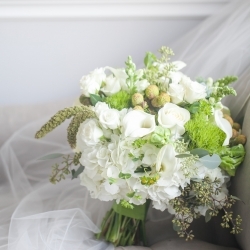 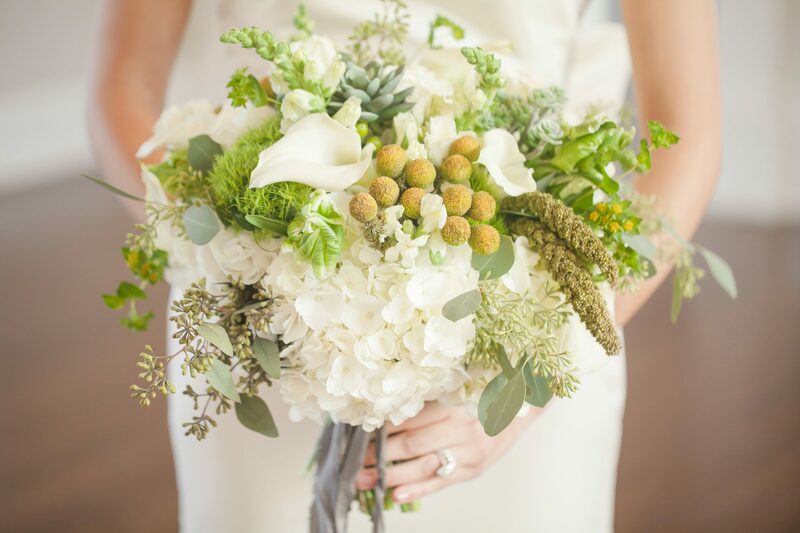 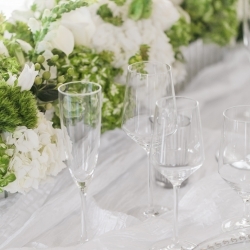 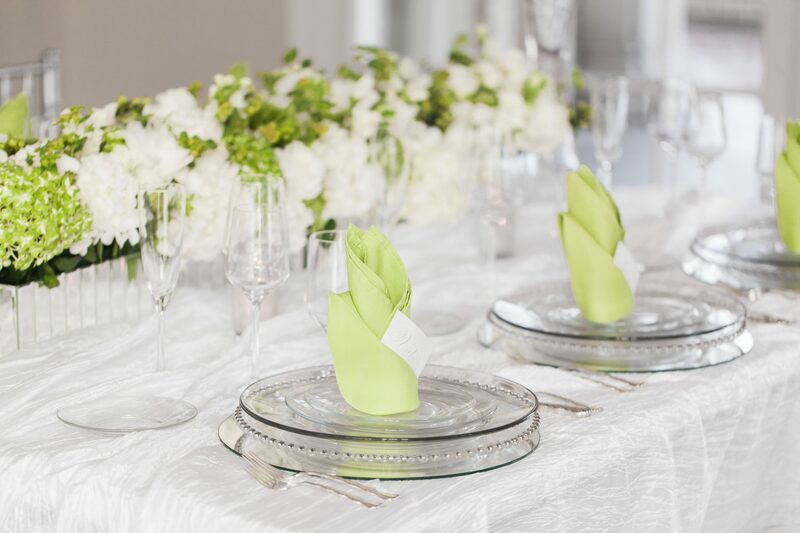 The simplicity of classic white and luxurious silver was accented with fun pops of green to pull the entire look together. 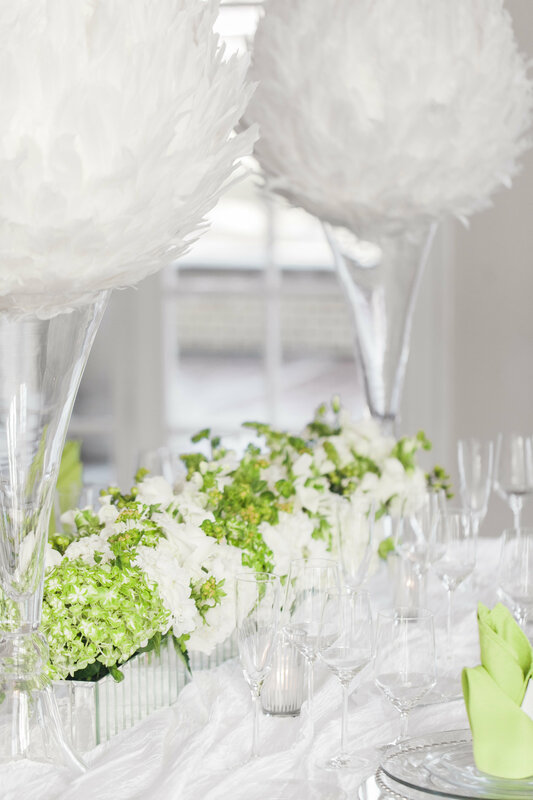 Floral designer Chelish Moore created stunning elements for this shoot, including to die for centerpieces, housed in modern mirror boxes, with accents of bright green that did not disappoint. 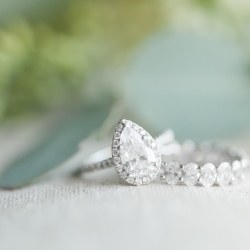 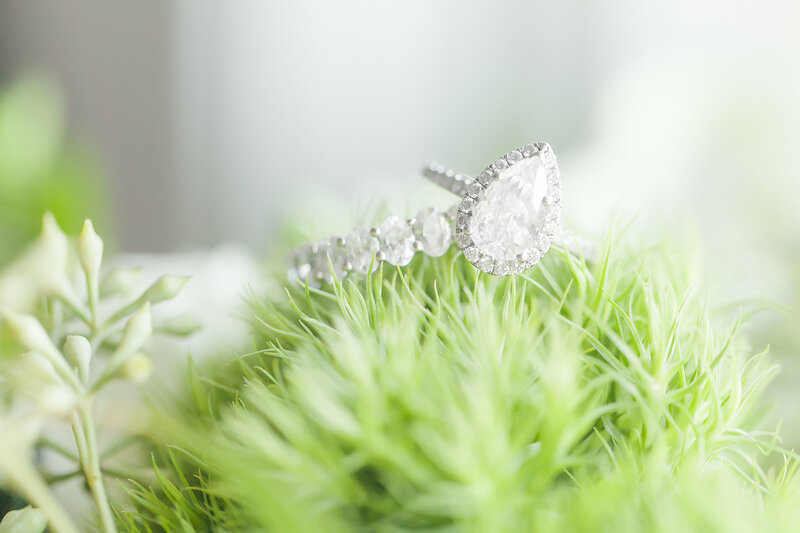 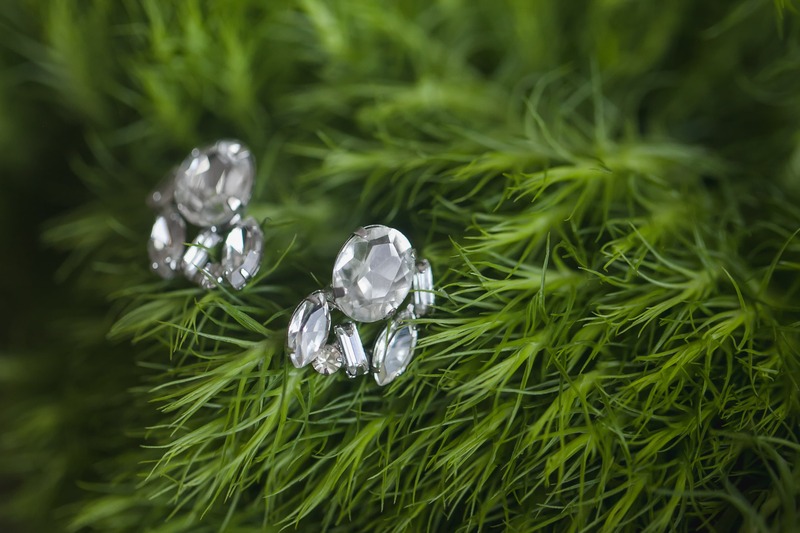 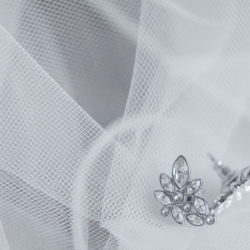 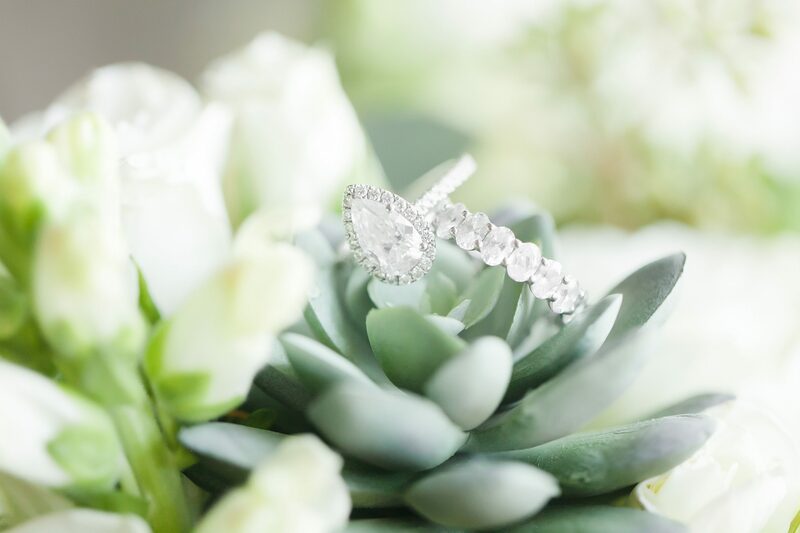 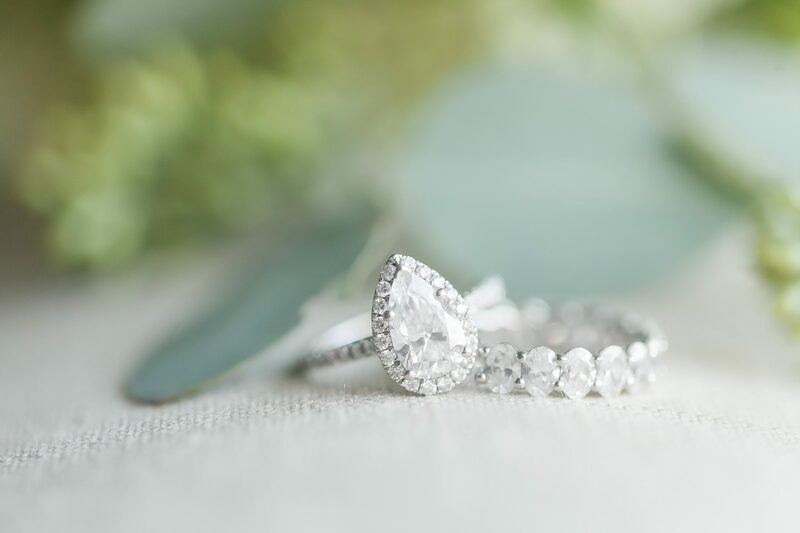 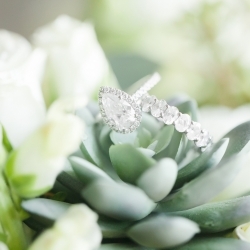 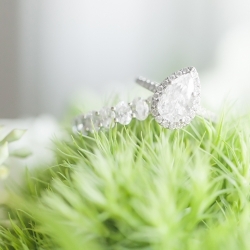 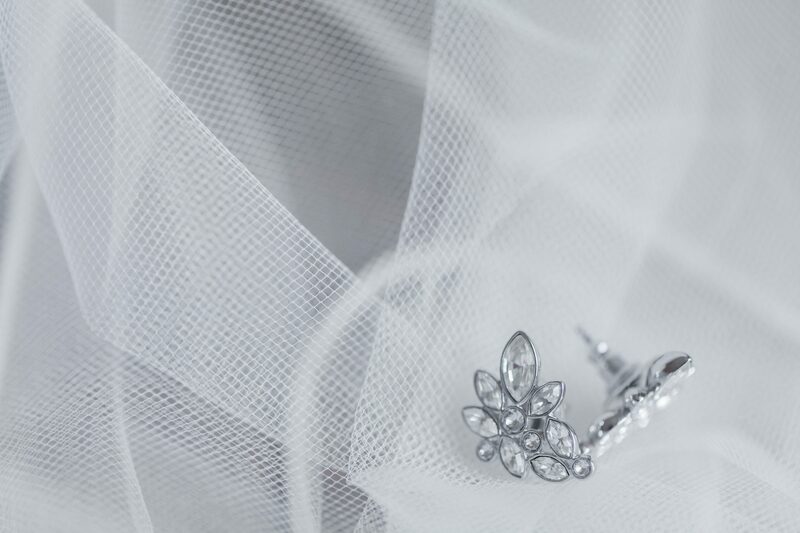 Photographer Casey Hendrickson was there to capture it all and delivered amazing images of even the smallest of details. 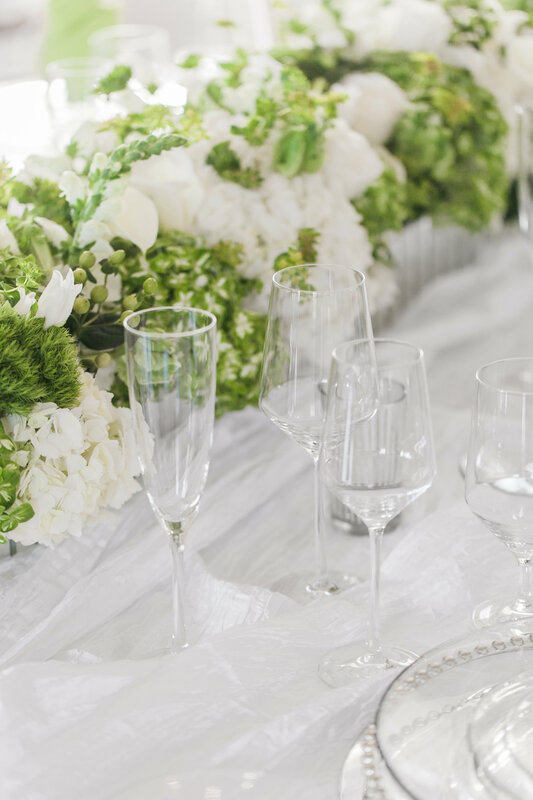 The tablescape featured modern elements of glass and silver, while still remaining classic in feel. 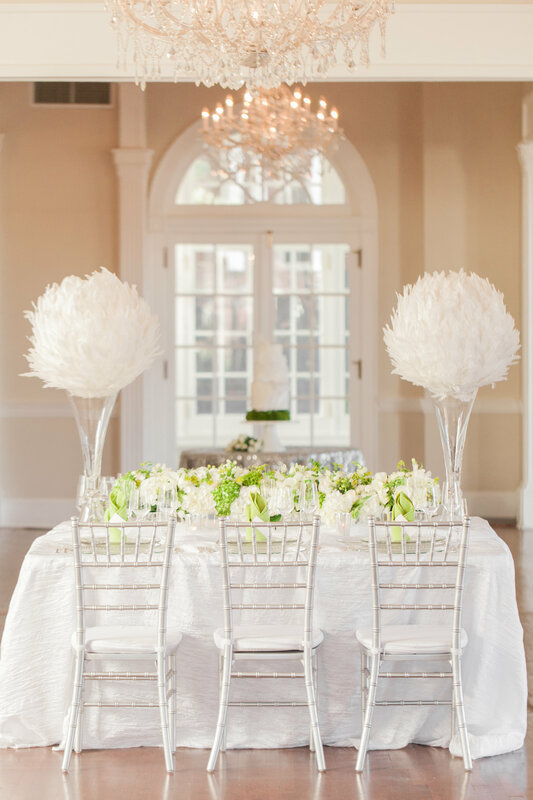 White taffeta linens, from Chelish Moore, created a simple base on which was added amazing details and unexpected twists. 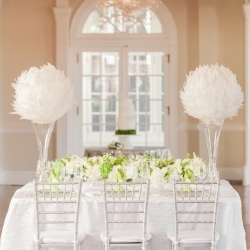 These twists included large trumpet vases that held breathtaking feather accents, far from expected but fitting perfectly with the overall style. 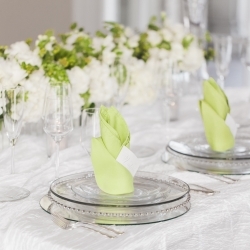 Formal place settings including glass chargers and heirloom silver flatware that were nothing less but elegant. 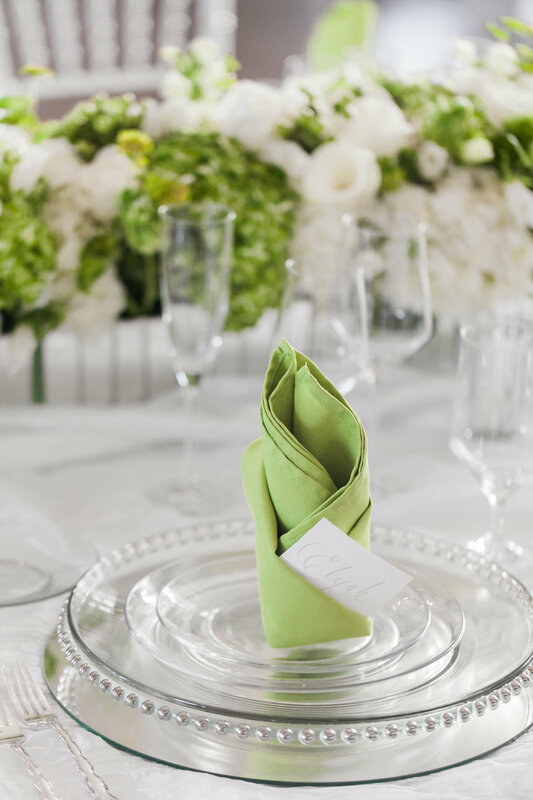 Finally, stunning chartreuse napkins brought the look and feel of greenery to every guest’s seat and tied together the elements of this day with perfection! 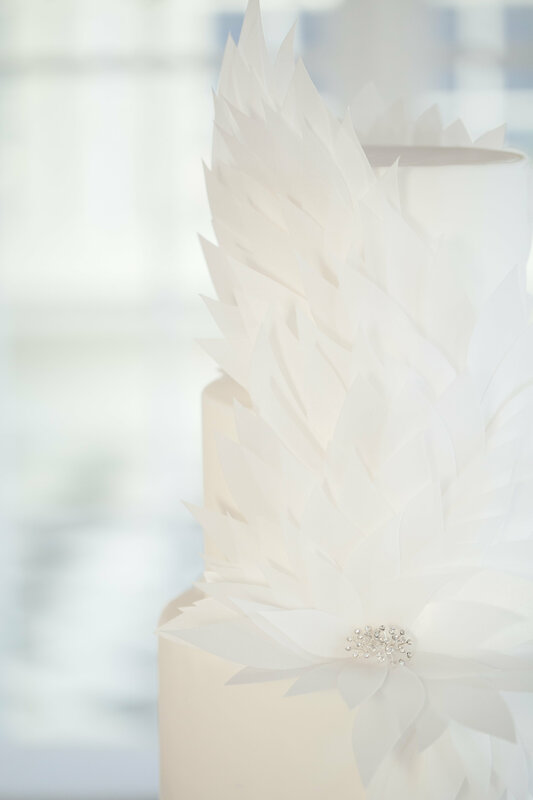 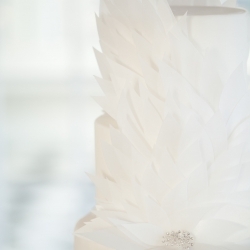 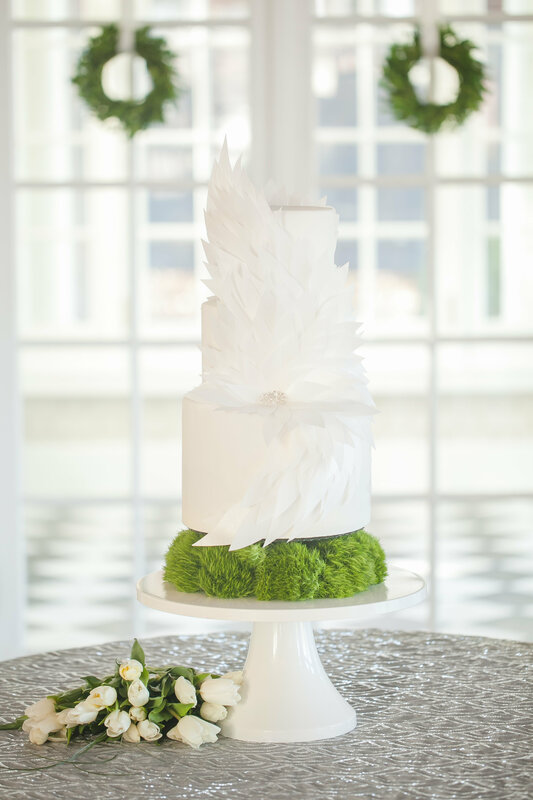 The cake, created by Sky’s the Limit Bridal Sweets, features contemporary feather-like details, that yet again tie the details together. 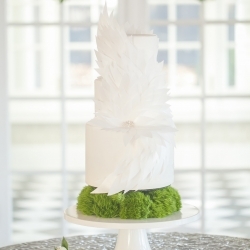 The bottom tier rests atop more greenery bringing the feel of the event back to the center. 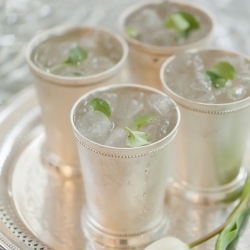 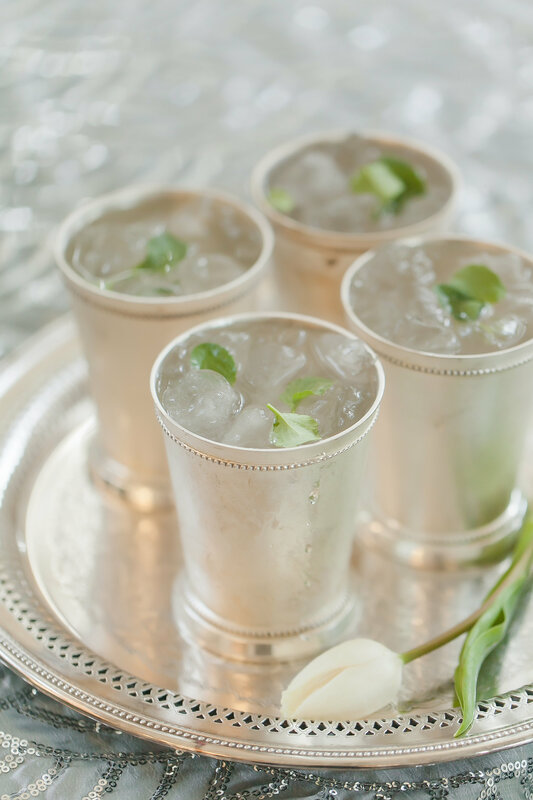 And to top it all off guests enjoyed refreshing Mint Juleps served with, what else, but simple silver tumblers. 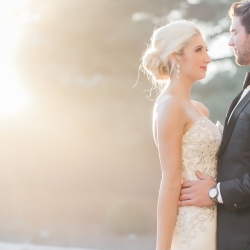 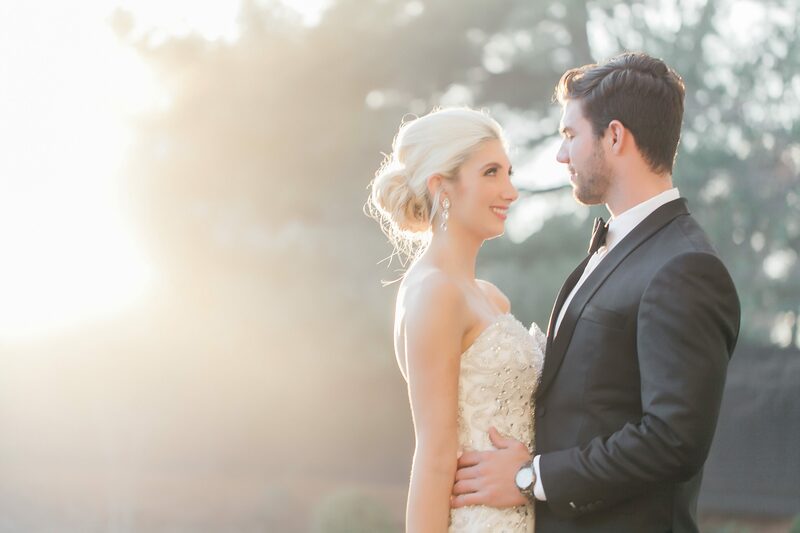 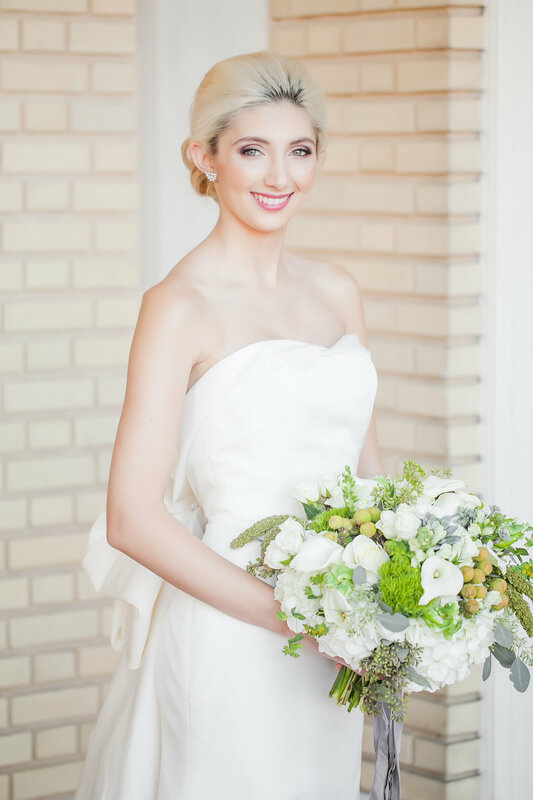 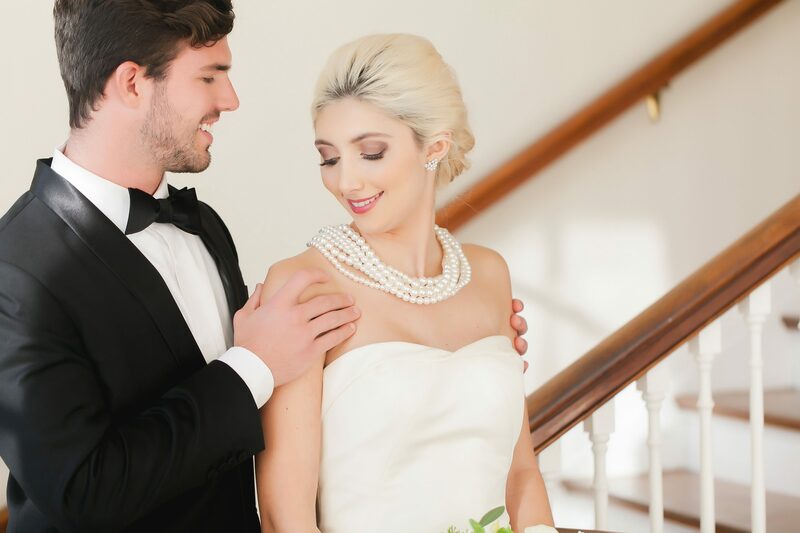 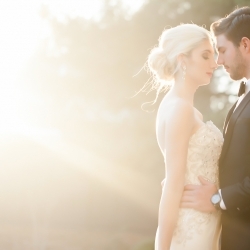 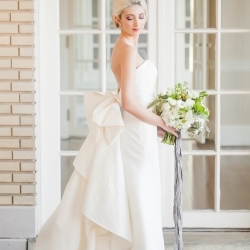 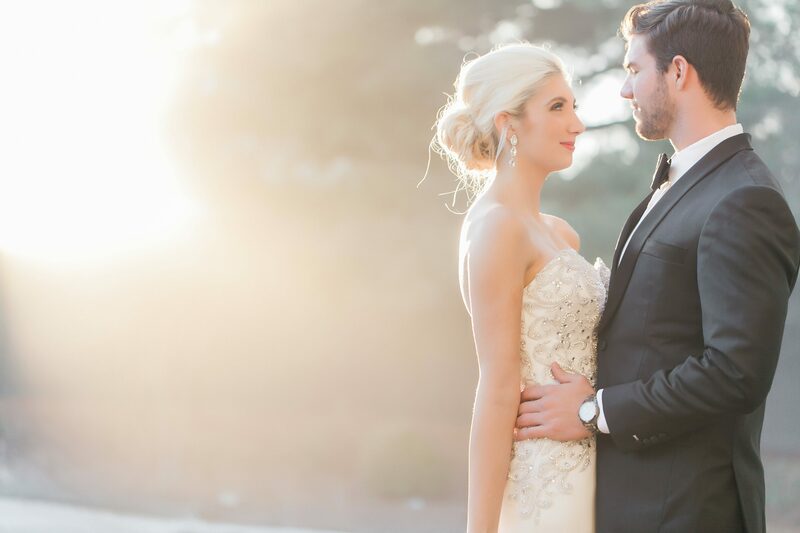 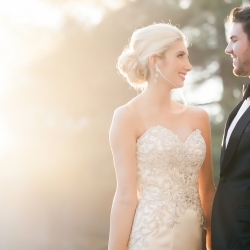 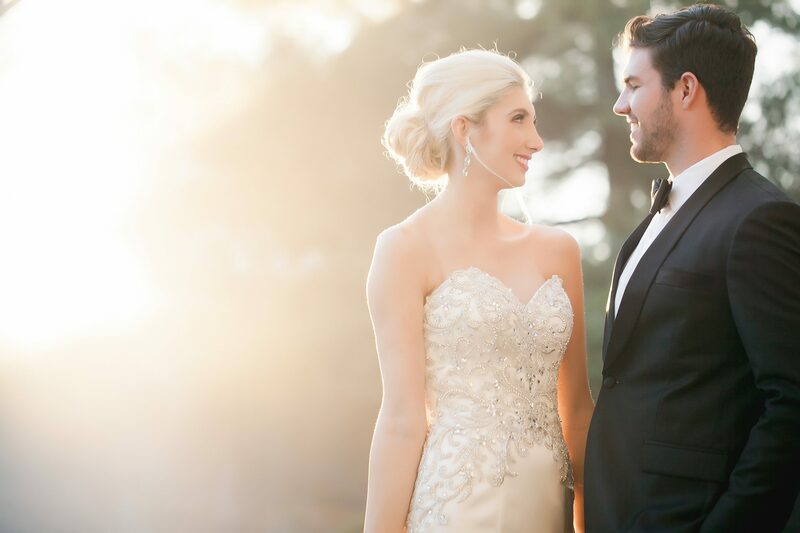 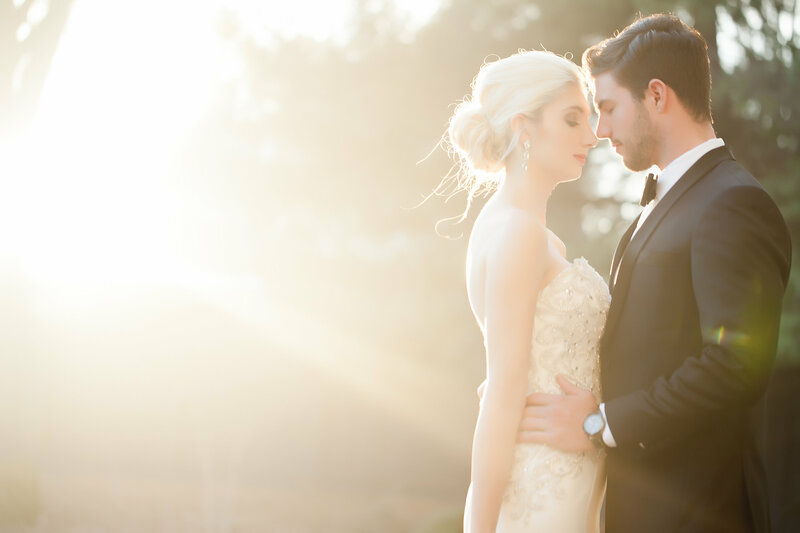 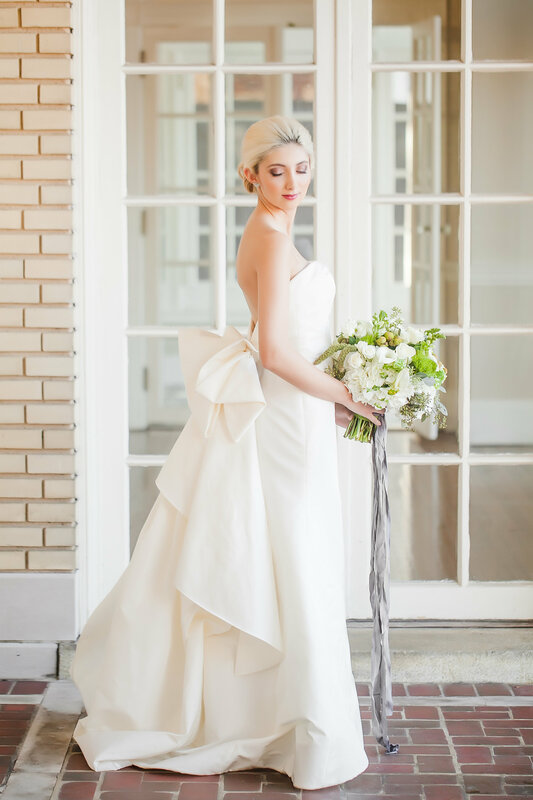 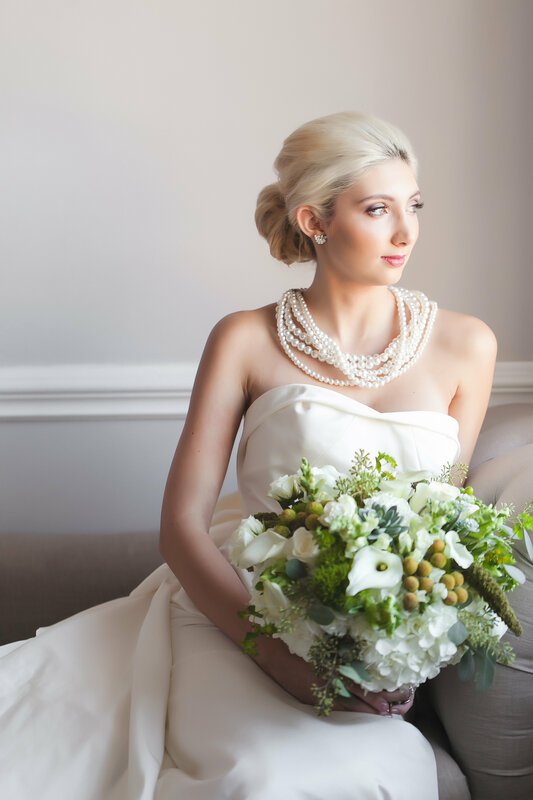 The Bride wore two stunning dresses from Paige and Elliott Boutique, showing off different looks this to die for bridal boutique has to offer. 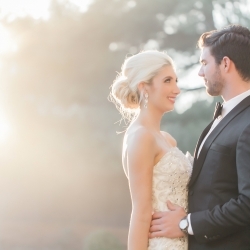 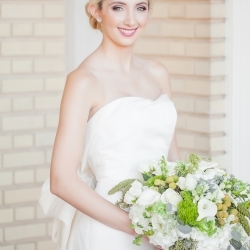 Plus, she looked nothing less than angelic with hair and makeup provided by Beauty Asylum. 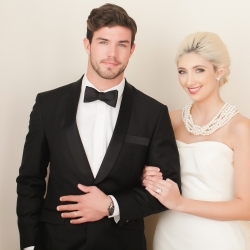 The Groom also looked quite dapper in a tuxedo designed by Alton Lane. 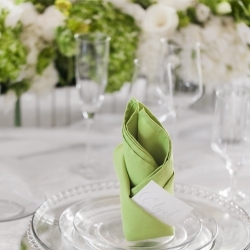 It is the small details that really take an event and push it over the top. 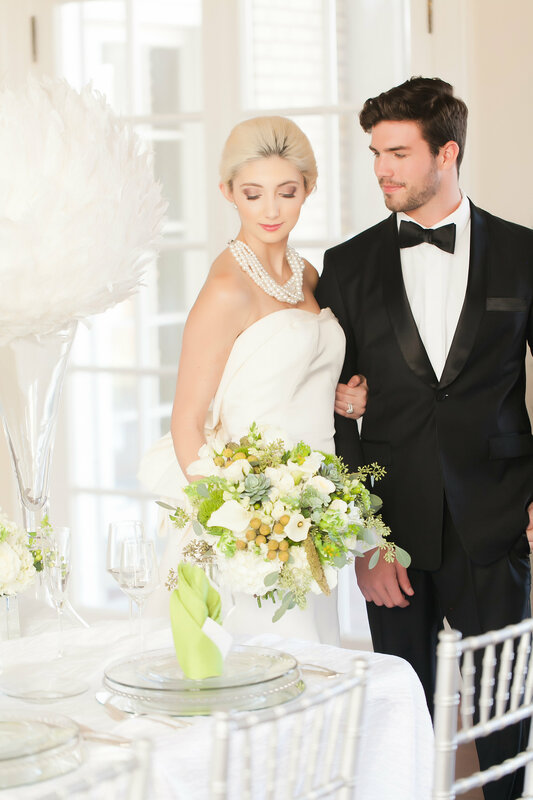 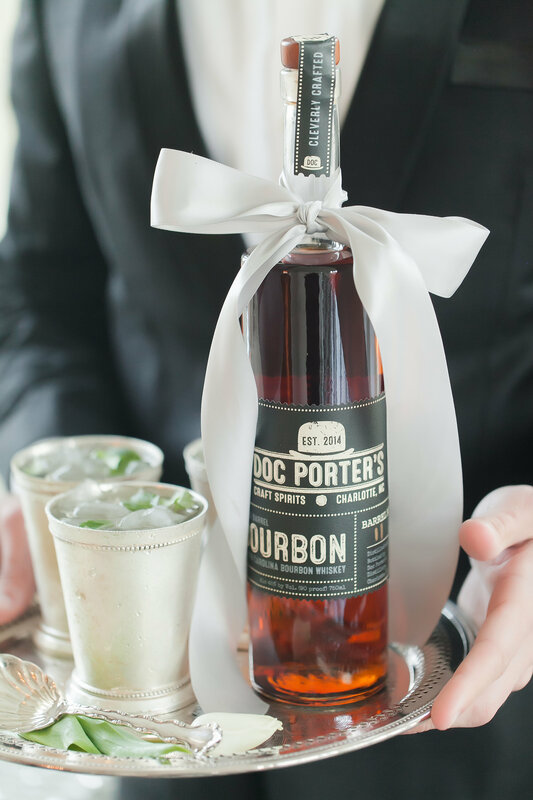 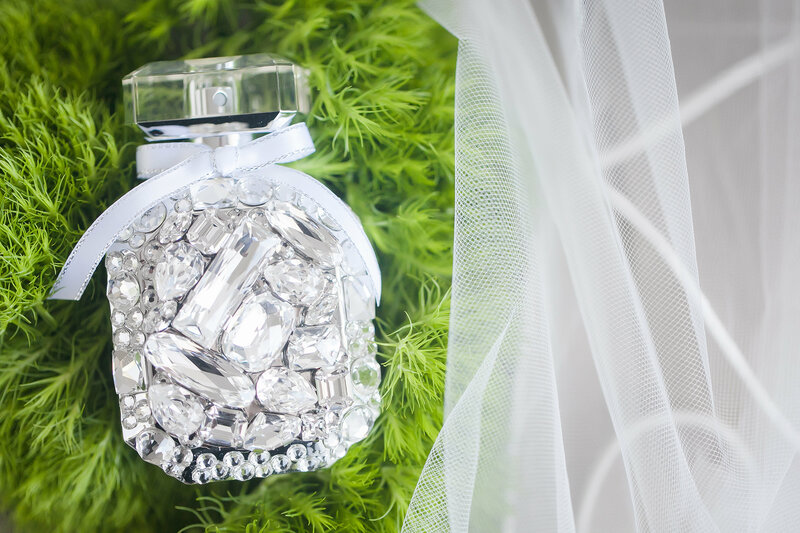 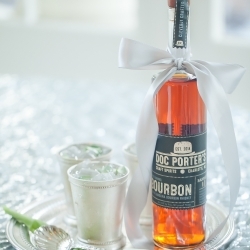 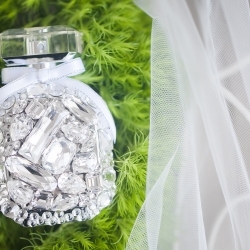 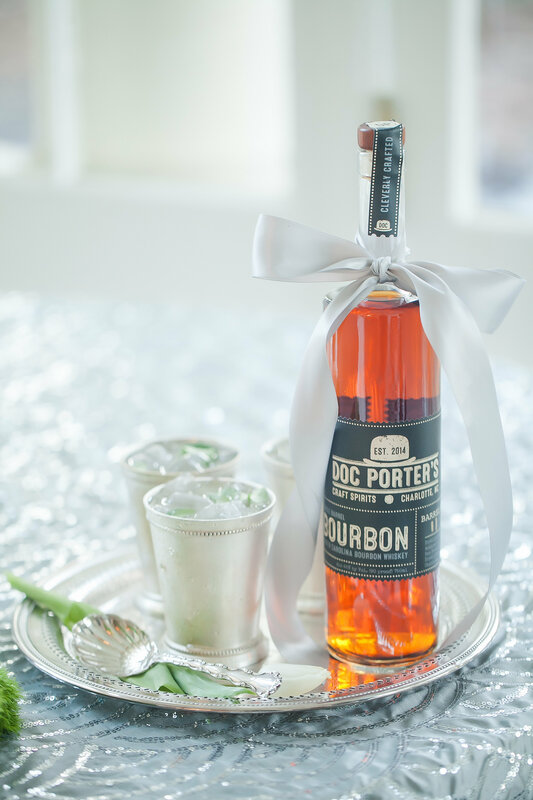 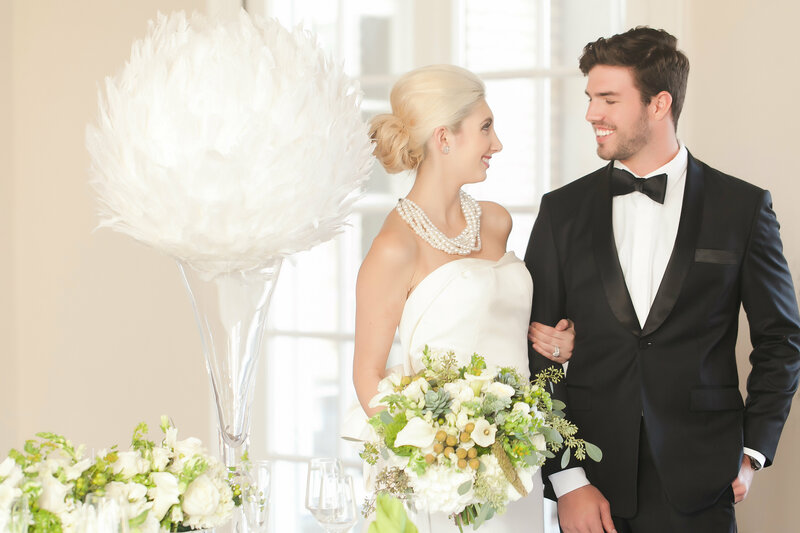 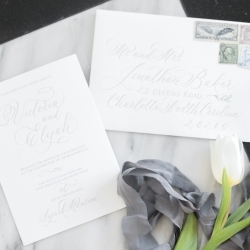 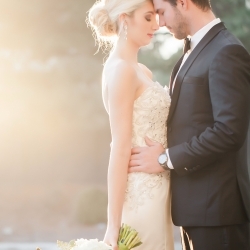 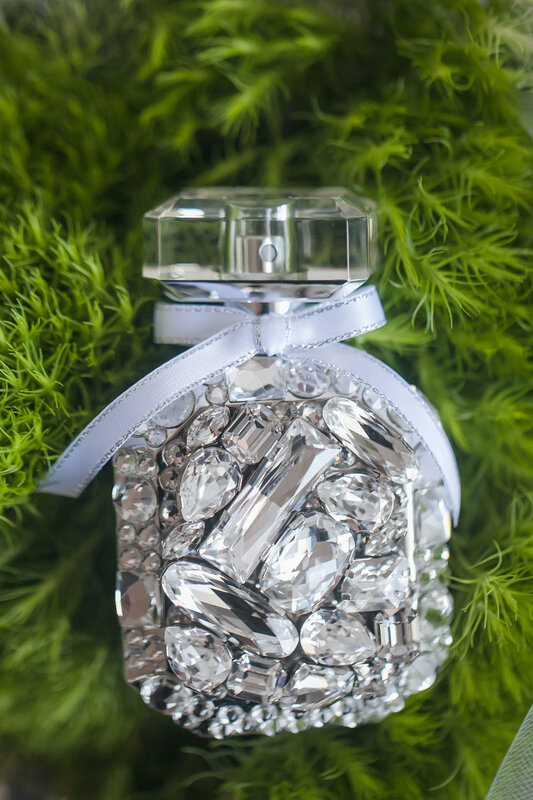 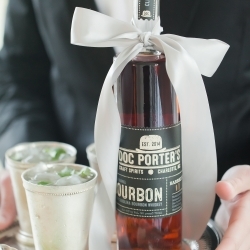 And the amazing vendors who worked to create this luxuriously styled shoot focused on just that, the details! 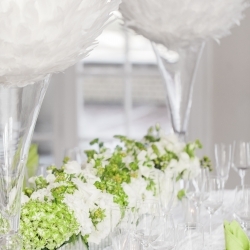 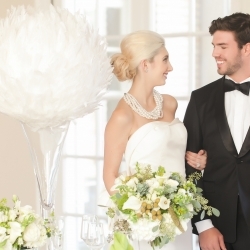 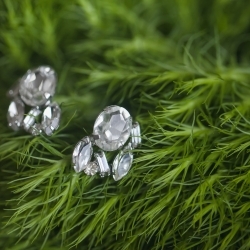 Want help designing your own modern sophisticated event to remember? 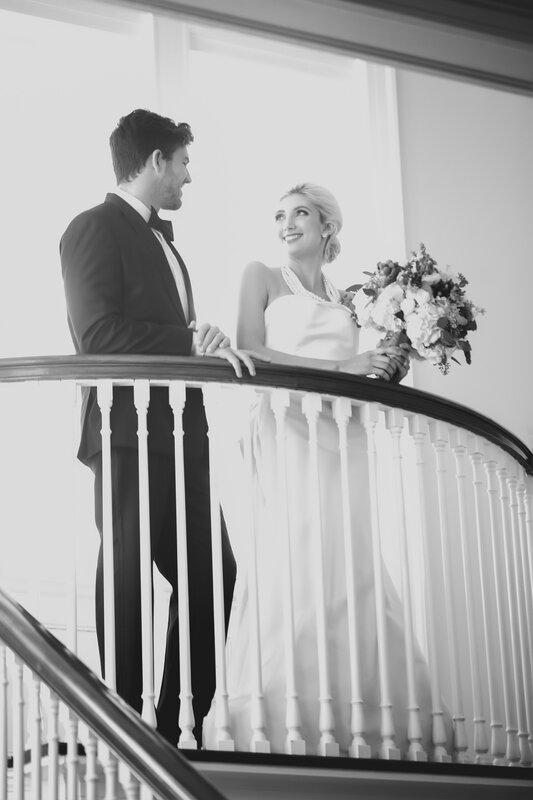 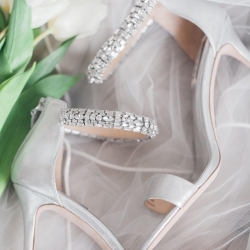 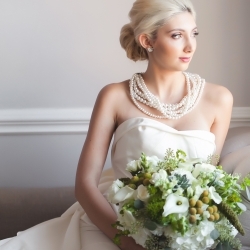 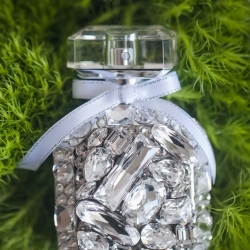 Contact Magnificent Moments Weddings we would love to help make your wedding dreams come true!